Unforgotten is a British 60 minute scripted crime television series, which kicked off on October 8, 2015, on ITV and is broadcast every Sunday at 21:00. The show is currently in its 3th season. ITV has officially confirmed the renewal of Unforgotten for Season 4. The exact release date is yet to be announced so far. Sign up to track it down. 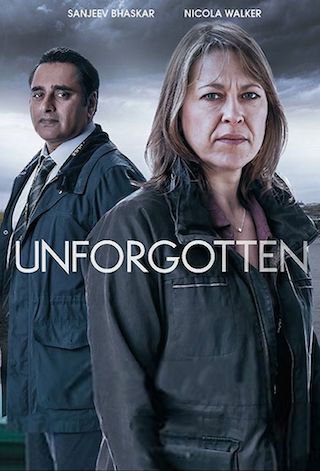 Unforgotten focuses on a cold' murder case of 39 years ago, when the bones of a young man are found beneath the footings of a demolished house. An investigation begins that will unravel the lives of four people who have been waiting for this moment for nearly forty years, as they discover that the past can't, and won't, stay buried for ever. ITV has announced today that critically acclaimed drama, Unforgotten, will return for a fourth series. The new series will see BAFTA award nominees Nicola Walker and Sanjeev Bhaskar reprise their roles as DCI Cassie Stuart and DI Sunny Khan as they investigate another emotionally charged and compelling cold case.